and is open to anyone between the ages of 18 onwards. Without volunteers the Egypt Centre simply could not function. The Museum is open Tuesday to Saturday 10am-4pm and comprises two galleries on separate floors. We rely on volunteers to maintain our galleries, ensuring the gallery is safe and clean and that all equipment is working. Volunteers talk to our visitors, welcoming them, answering enquiries and giving guided tours. They also work as educational leaders for visiting school groups and are closely involved with the development of hands-on activities with the Education Officer. Many adapt activities already on offer by making props to enhance the activity, such as headdresses, wigs, etc. Volunteers also pilot new activities before they are offered to our visitors and evaluate the activities. Some volunteers help with shop duties serving customers, answering enquiries and carrying out general reception duties. We are looking for any people between the ages of 18 and 99! You will need to be enthusiastic, enjoy working with others and meeting people from all over the world. An interest in Egypt is not essential but it helps! We have many volunteers who are retired people, some also work part-time and some are students. Swansea student volunteers can take part in the HEAR awards. There are a variety of roles you can get involved in, all of which will have at least one element of the core functions. The following jobs descriptions are available. Youth Volunteer Program Worker (new role – only available on a Saturday). Please note, we do not offer any “behind the scenes curatorial work” . All roles have an element of visitor interaction. * This is a progression role – you will not be able to start at this level. Yes. 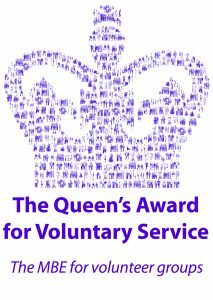 All potential volunteers need to have 2 satisfactory references and a DBS check. This is because we work extensively with vulnerable groups. All these must be received and satisfactory before you start. All new volunteers also have a induction or probation period when they start, this is for a minimum of 20 hours. The Museum is open for volunteering between Tuesday – Saturday, 10am – 4pm. To volunteer at the museum you usually need to commit to a minimum of 3 hours a week, or 1 hour over lunch time. The 3 hour shifts are usually half a day, 10am to 1pm, or 1pm until 4.00pm plus a 10 minute pre-shift meeting. Alternatively you can volunteer a full day 10.00 to 4.00. If you wish you can volunteer for more than one day! We also offer 1 hour volunteering over lunch times. If these times don’t suit your commitments, don’t worry, just get in contact with the Volunteer Manager to discuss alternative arrangements.